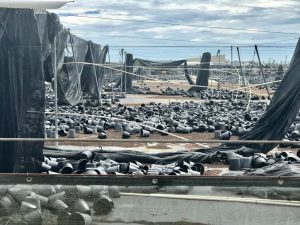 Vegetable Growers News reported this week that many vegetable growers in Florida were not insured and will face significant losses from Hurricane Irma, including plants that were already in the ground as well as plastic sheeting used to prepare strawberry fields for the upcoming season. USDA reported in a study earlier this year that only 34% of specialty crop growers purchased insurance in 2015 and only 2% of strawberry crops were covered. You can read more about it at http://vegetablegrowersnews.com/news/hurricane-hit-growers-reeling-little-insurance/. I also saw a report on Twitter that there were $152 million in losses in potted plants in south Florida but can’t find an article on it. 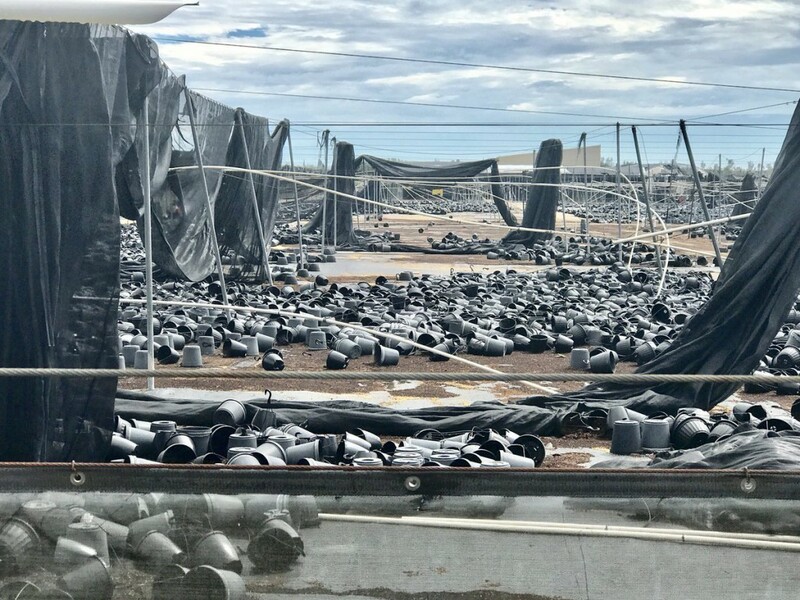 The photo of damage is shown below from https://twitter.com/JMichaelsNews/status/912702220877123590.